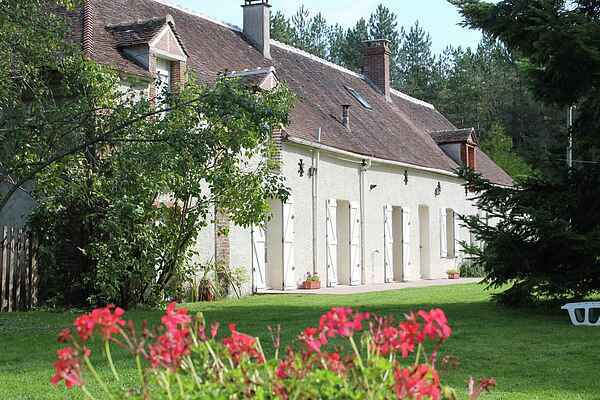 This house full of character is 7km west of the pretty town of Montargis. All the rooms in this former stables have a door leading into the garden. And what a garden! Plenty of shady trees, a terrace, garden furniture and a barbecue which will extend your evenings late into the night. The setting for this holiday home will be the perfect springboard for many interesting trips. Bakery and restaurant 500m away. Supermarket, bank and market in Montargis (7km). There are many interesting places to visit by bike or car. Do not miss a visit to the Renaissance castle of Fontainebleau (55km) with its magnificent gardens. It is in the middle of a fantastic forest, covered with pretty footpaths. The extensive woods of Orléans (20km) are an equivalent beauty. You know the city of the same name (40km further) thanks to Joan of Arc. You will find pretty terraces and restaurants in the old town centre. With its labyrinth of canals, Montargis definitely deserves its nickname "Venice of Gâtinais". You will also find plenty of water sports in the region. You can go windsurfing and canoe-kayaking on Lake Cepoy (15km). You can play golf in Vaugouard (19km).